← The Week Ahead…? And Photos from the Week Past…. What follows is a point by point summary of the DC Court Appeals Decision on Hine. In the very near future, Capitol Hill Corner will be posting a longer story on the Hine Development. Petitioners claimed that Zoning Commission (ZC) did not address concerns or hear sufficient evidence to make a finding regarding the height and mass of the proposed development. 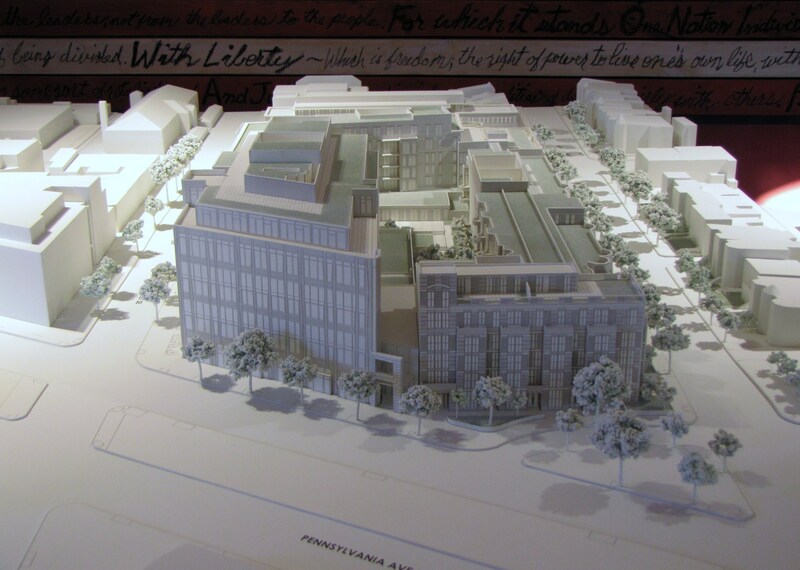 Decision: The court finds no reason to disagree with Historic Preservation Board approval. The record is “replete with evidence upon which the Zoning Commission basedits conclusion,” contrary to the many objections in the record to the project’s size. Petitioners claimed the Zoning Commission failed to find that the project was in compliance with the Inclusionary Zoning (IZ) Program, in particular the affordable housing components. Decision: Petitioners raised this issue for the first time on appeal. The court did allow that the Zoning Commission should have made explicit finding about the percentage of gross floor area committed to affordable housing. At the same time, the court found that petitioners failed to show that the Zoning Commission finding that the amount of affordable housing exceeds what the IZ program requires is not supported by substantial evidence. Petitioners claimed the developers’ plan for the affordable housing in North Building to expire after 40 years fails to meet IZ requirements. Decision: The Zoning Commission did not conclusively state when the affordable housing expires, nor did they find that the project was exempt from the IZ Program. The determination on expiration will be made when the development applies for a building permit and a certificate of occupancy. Petitioners claim segregation of affordable housing in the North Building contravenes the Comprehensive Plan. Decision: The developers propose an exemption from IZ but the petitioners depend on IZ Program requirements for this claim. (DC permits exemption from IZ Program if: 1) Program provides same about of affordable housing as required under IZ; 2) Affordable housing is reserved for as long as the project exists; 3) Both obligations are stated as declarations in a covenant approved by the District and recorded in land records). 1) ZC order relied on LDDA though the document is not in the record; 2) ZC failure to examine LDDA prevented discovery that cost of many benefits and amenities are to be deducted from the ground rent of the land and thus, paid for by the taxpayers. The actual decision is not that long and is a pretty easy read, laying out the background, the claim and the decision very simply. @anon: to follow through: Just because it is a bad deal, don’t make it illegal.